The Spirituality Centre is an initiative of the Society of the Divine Word (SVD). The Centre is rooted in the spirituality of St Arnold Janssen SVD (1833-1909), whose dream of a united world moved him and his followers to reach out to people of all cultures and spiritual traditions. The Centre, formerly the site of a contemplative community of the Good Shepherd Sisters, has been a place of prayer and relaxation since its foundation. It has a living tradition of being a place for spiritual retreats and personal renewal. For many years it was known as 'Karuna', a place of loving kindness and active compassion. This tradition continues as a central focus of the Centre. The Centre is proving to be a popular venue for people from metropolitan Melbourne, country Victoria and interstate. We are often asked questions such as the following. 1. How do I become a friend of the Centre? 2. How do I receive a copy of the annual programme and newsletter? 3. 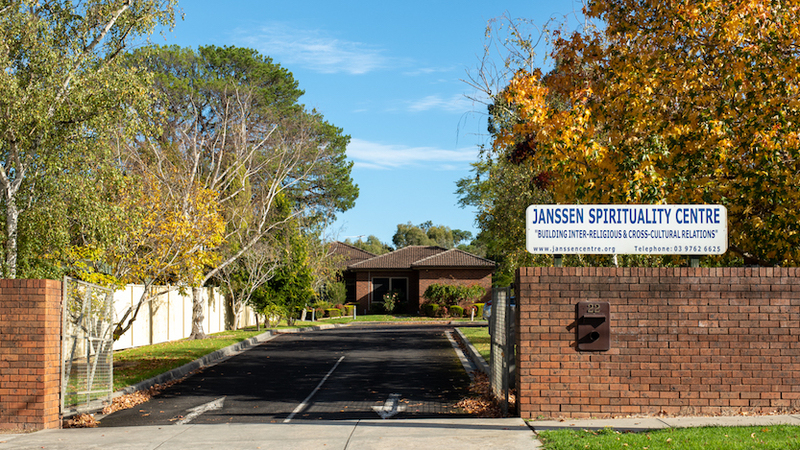 How much does it cost to attend programmes and retreats at the Janssen Centre? 4. Are there live-in facilities? 5. Are there facilities for people with special needs? 7. Where is the Janssen Centre located? 8. What sort of clothing should I bring? 9. Who do I contact if I have other questions?